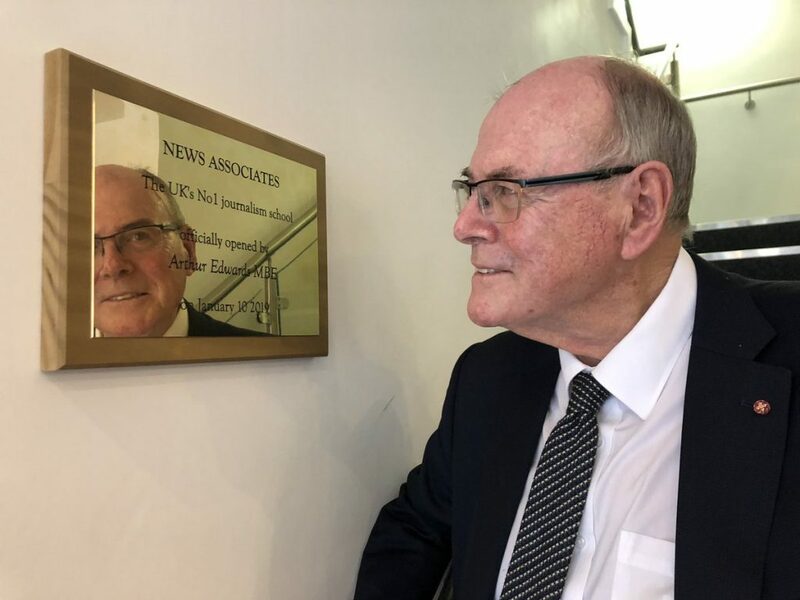 Journalism royalty Arthur Edwards MBE officially opened our new London campus. 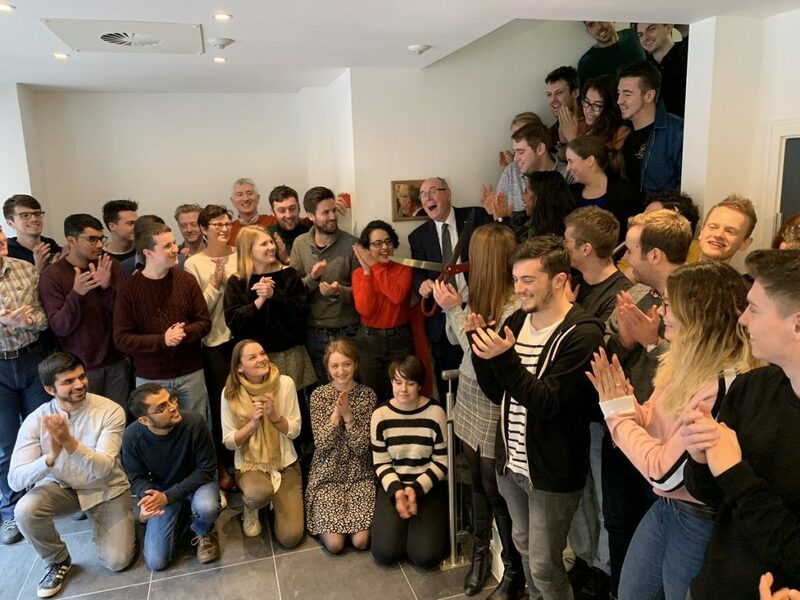 The Sun’s royal photographer gave our new Twickenham office the royal seal of approval on Thursday January 10 2019. Before the ceremonial ribbon cutting Mr Edwards shared a few words of wisdom with our trainees. “It’s a great life journalism, I love it. It’s just been for me a great adventure and I just hope you can get an adventure like I have,” he said. “The biggest scissors for the biggest and best journalism school,” Mr Edwards laughed! We wanted our first royal visitor to go down in News Associates history. Before the grand unveiling Mr Edwards spoke to our trainees about his 42 years working as a royal photographer. Seven royal weddings, four funerals, eight births and one journalism training centre. News Associates managing editor James Toney said: “Others may have got Prince Charles to open their office – we went one better and got his favourite photographer to do it! 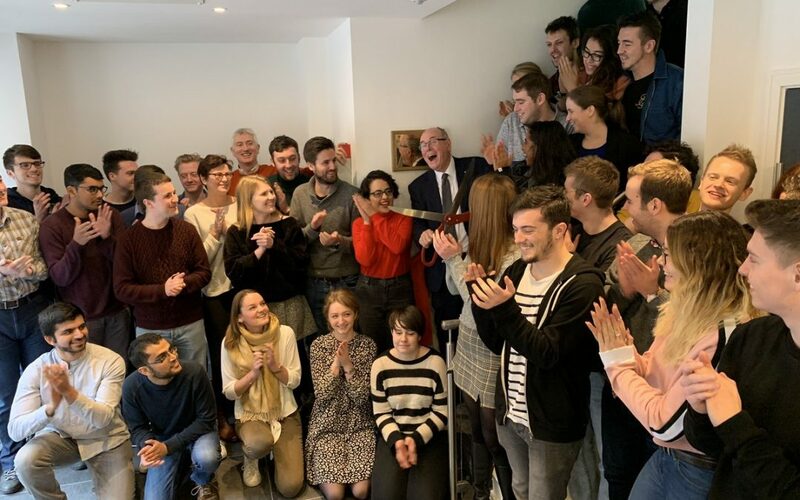 “It was brilliant to have journalism royalty and Fleet Street legend Arthur Edwards with a very big pair of scissors at our London office. Come and see our new London office at a free journalism workshop – book here.